Catering services in Singapore are quite common with a focus on buffet type. Yet sometimes your event demands an upscaled catering service to enhance a highly personal or social setting. As such, this article is dedicated to introducing canapes and canape catering services in Singapore in 2018. A Canape is a bite-sized appetiser with meat, vegetables and sauce on the top and a small piece of cracker, bread or even cucumbers as the base. 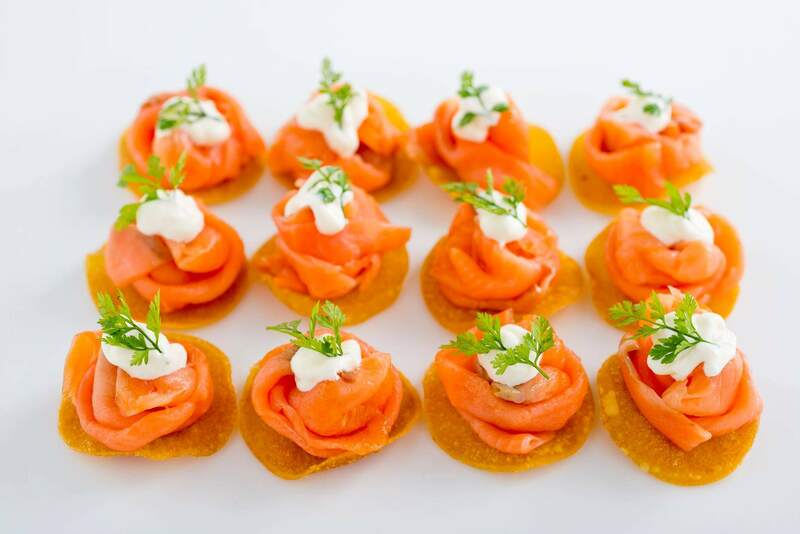 Different from the buffet which is usually served in hot and large portion, Canapes are small-sized and cold-served, which enables them to complement events when a hearty buffet is deemed less ideal. 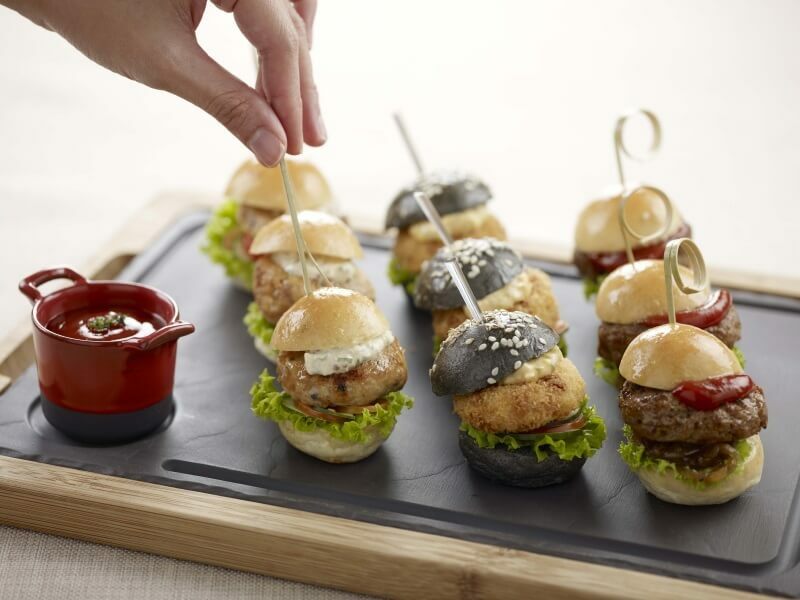 Why should you use Canapes for your next event? Here are 5 reasons why canapes are better than the buffet. 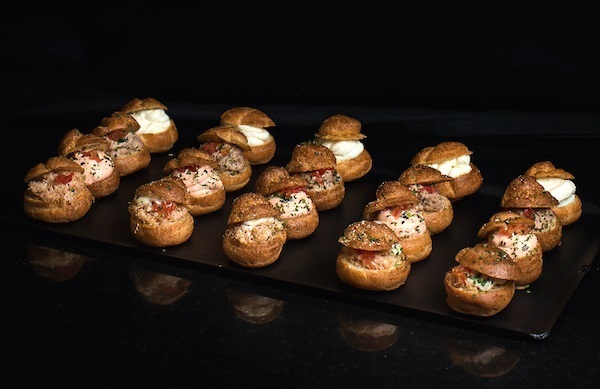 Being able to cold-serve canapes saves you lots of work in maintaining the temperature of food with heating set-up, especially during winter times. The cleanliness of the venue is also easier to maintain. Canapes always ignite the imagination of chefs and gourmet and can come in various shapes, colours, ingredients and flavours. It is truly a miniature of a culinary world on a small piece. This definitely bring up the style of your host and your event as well. Do you remember the heavy plates you have to carry around during networking? Now, you can save the load for your guest by serving canapes which are easily taken up in a light napkin. From a host’s perspective, phew, no more plates all over the venue and no more dishwashing. Isn’t this amazing? Just because guests can satisfy their longing for good tastes within 1 or 2 bites, they are free to go around and mingle with each other without having their mouth full. 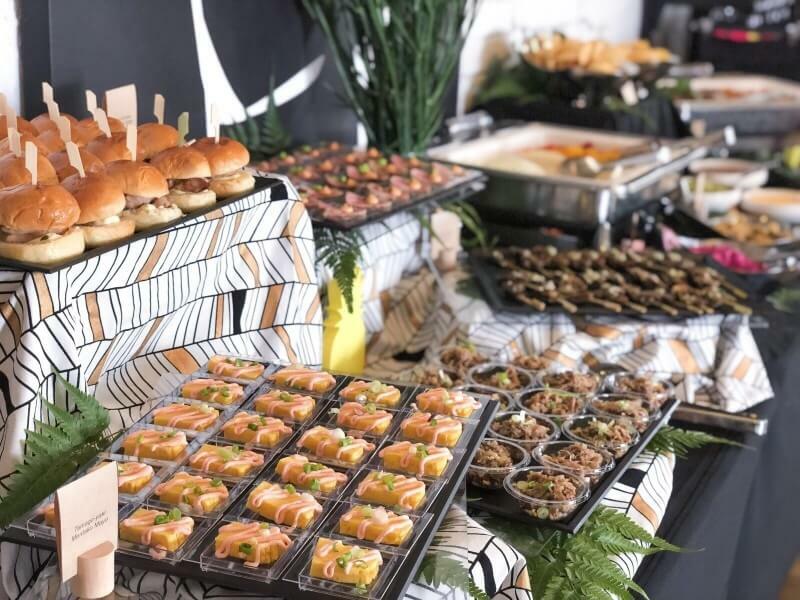 What are the best canape catering services in Singapore in 2018? Cedele is much beloved by locals in Singapore for their cakes and pastries. And they are bringing their expertise in pastries to raise the par for canape catering service in Singapore. 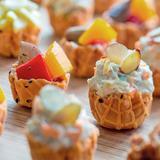 In a typical tartlet platter, you will find tasteful and colourful fillings inside exquisite crispy waffle bowl. From tropical almond chicken, honey dijon chicken, tuna salad, Bombay chicken, to hummus & dukkah and egg cheddar cheese, there is so large variety for you to explore. One thing should not be missed out is their low cutoff of minimum order at $50, making the catering service available to almost everyone. Whenever you feel like eating the tartlets, you can order for yourself. 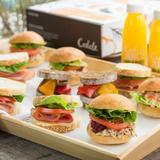 Similar to Cedele, Swissbake is a loca brand that enjoys wide recognition for premium cakes and pastries. 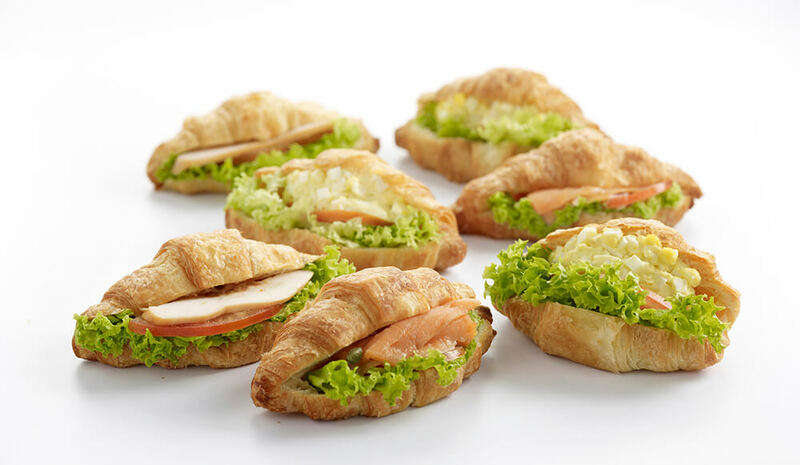 Their platter package looks relatively simpler with mini croissant sandwiches with turkey, egg mayo or smoked salmon fillings. Other platter choices are chocolate rolls and sweet pastries. 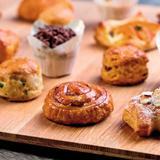 Swissbake package is more suitable for a quick snack session during small group meetings. 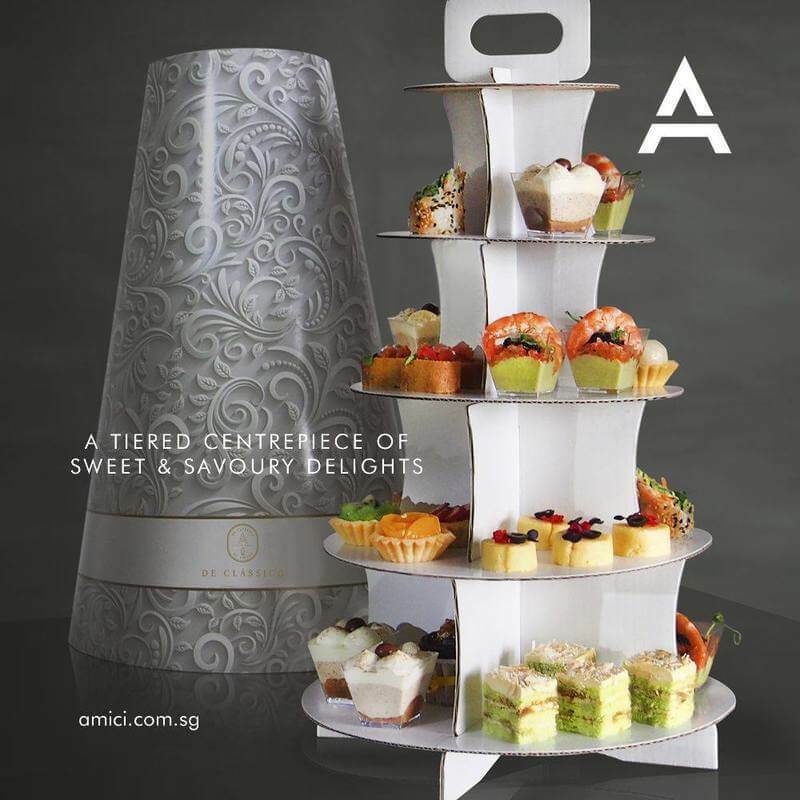 Amici is a boutique catering service in Singapore that brings hotel-grade food & beverage service to your venue. I am rather amazed by the whole set of delicate display of their dishes from colour, shape, flavours and textures. They also have their one-of-its-kind offer of De Classico where a trapezoidal cylinder hosts a careful selection of 40 handcrafted sweet and savoury mini dishes in multiple layers to surprise the guests. The set can save you the time of finding out nice places to place the mini bites in such an artistic way. The Rotisserie Singapore is a cafe restaurant near Chinatown Singapore that takes pride in their super tender and juicy roasted chicken. After that, gently roast chicken over spit until they are just nice to eat. You can definitely order the signature roasted chicken, but other offers also look awesome such as the flower-like salmon tart and quiches. Ninja Cut is a premium western Japanese restaurant that serves very appetizing dishes. Their catering service provides food with the same quality and attractiveness. Their Japanese style meat sticks, succulent beef and generous fresh salmon chunks are definitely tempting choices for you to entertain your guests. This catering service TCC is under the same company of the popular cafe TCC, so we will understand the quality of food here. The presentation is wonderful and by looking at the mouth-watering picture, I know the taste must be superb too. Paul bakery was founded in 1889 in France specialising in artisanal sandwiches and pastries. Paul Singapore extends its service from merely a premium bakery to offering catering services for big events. Their mini burgers, pastries and cakes always showcase the quality and service this brand with long history stands for. 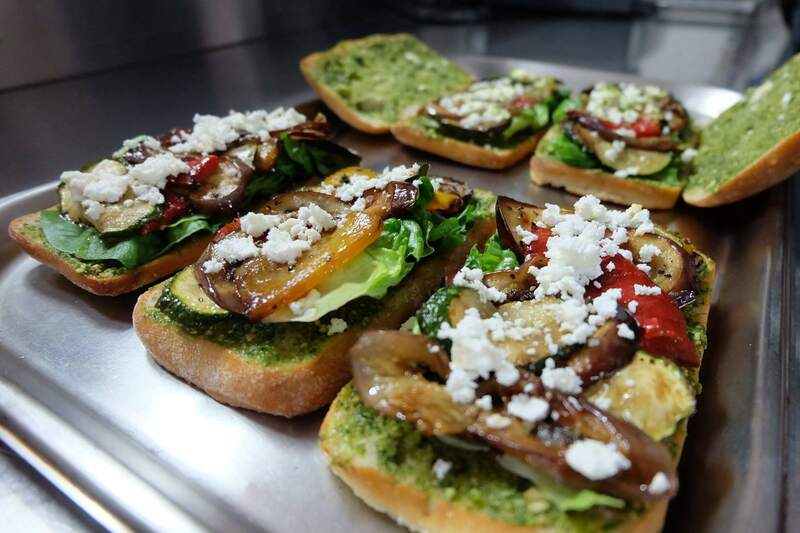 Fine Palate catering is chartered by a women entrepreneur who has a profound grasp of French cuisine and received early exposure to American cuisines. She is dedicated to offering quality, artisanal catering food to Singapore. I just discovered that their food is very unique with her personal touch. Look at the yummy-looking sandwich below, I seldom see anyone in Singapore uses eggplants as an ingredient for sandwiches ad the layer of green sauce on the bread is really tantalising to me.